It took over a thousand years and great sacrifice to find out what the Solar System looks like; and how it works. 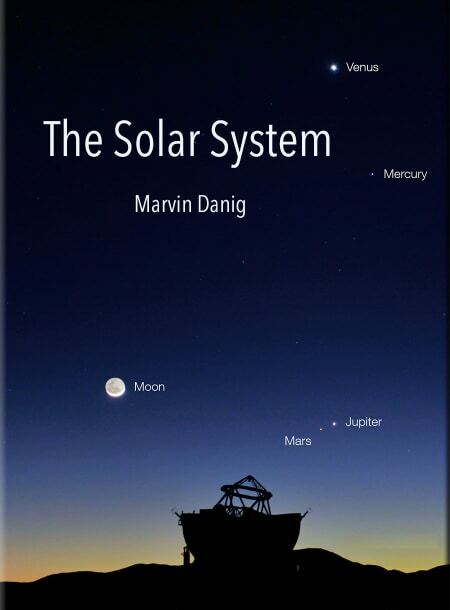 Connecting the dots of events from the age of Ptolemy to the Copernican Revolution leading up to modern day astronomy, where we've only begun to discover new planetary systems in our quest for an Earth-like exo-planet, this book is a quick and immersive journey to space. It is a glimpse of how our planetary system works, what planets are made up of and how these massive bodies interact with each other gravitationally. It touches lightly on the physics underneath, with a tasteful use of visual explanations and mildly interactive content. To understand the Solar System is to appreciate how strange and unique our own planet Earth is, with all its teeming life and biodiversity. It is likely the first step towards becoming a good soldier of science. More importantly it is a gentle tug to the scientific temper in each one of us. I really hope you enjoy reading this book as much as I did writing it. Do share your thoughts and suggestions on marvin@bubbl.in, for I can add/remove/edit content on it on the go. Also, you can fork the book on Github to contribute with PRs. As a sidenote, this book is also a demonstration of what is possible with Superbooks on web. Through the pages of this book I wish to show how different web technologies like ThreeJS, MathJAX, HTML5, CSS3 and others can be brought together to bring interesting and impactful books online. Making it awesome for readers. In love with math, music and sky. CEO of Bubblin.